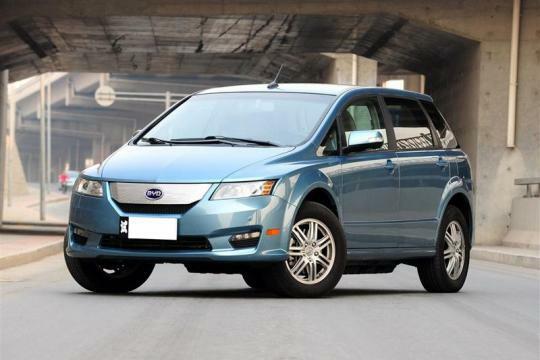 You may have seen BYD cars roaming our roads recently, BYD is a Chinese automobile manufacturer which sold a total of 506,189 passenger cars in China in 2013, making it the tenth-largest selling brand and the largest selling Chinese brand. In 2015, BYD Auto became the best selling global electric vehicle brand, ahead of General Motors and Nissan. 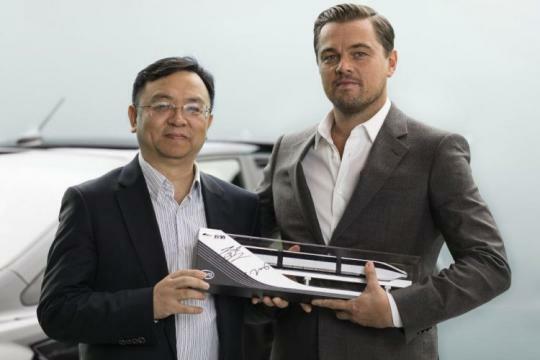 Oscar-winning actor Leonardo DiCaprio will now shill cars for the Chinese automaker. This may seem like an odd decision for the movie star, but DiCaprio is well known as an environmental advocate. He drove a Toyota Prius to the Academy Awards once, which in turn inspired Henrik Fisker to create his Karma plug-in hybrid. DiCaprio also purchased movie rights to the VW diesel scandal, and supported a Formula E team. As for his interest in BYD, it's because the company happens to be a leading Chinese producer of electric cars. The company currently offers three pure electric models, the e5, e6, and Qin EV300, as well as a number of hybrids. The e6 even reportedly underwent testing with Uber. BYD also sells electric buses, some of which are produced in the US. And DiCaprio isn't the only famous American to get involved with the company. Warren Buffet has been an investor since 2008. So really, it's not that surprising DiCaprio would be willing to do some promotional work for the company In fact, he said, "I am very pleased to be joining an effort to increase the number clean vehicles on the road in China and beyond." We wouldn't expect him to trade in his Fisker for a BYD anytime soon, though. He seem to be "sleeping around", hope he is not being made used. Used products have a tendency to be quite loose after several used like a tin can of chocolate. "sleeping around" I know what you mean. My own wife keeps telling me she is one of those that wants to make "use" of him. I hope she means spend his money. An environmentalist but flew private jets frequently. an accomplice of a confidence trickster or swindler who poses as a genuine customer to entice or encourage others. "I used to be a shill in a Reno gambling club"
"your husband in the crowd could shill for you"